to all attractions and beaches. 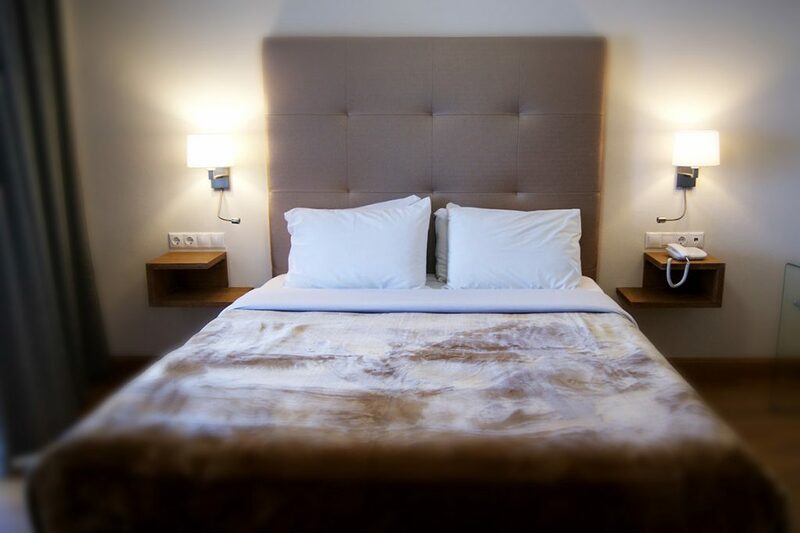 Now you found the best choice for accommodation, stop searching for “Navarino Accommodation”! Renovated room with a double bed or two single beds, dressed in distinctive pastel colors. It has modern equipment and meets all the requirements for a comfortable and pleasant stay. Includes flat-screen TV, refrigerator, free wi-fi, air – condition and free toiletries. In this room there is no capacity for extra bed. 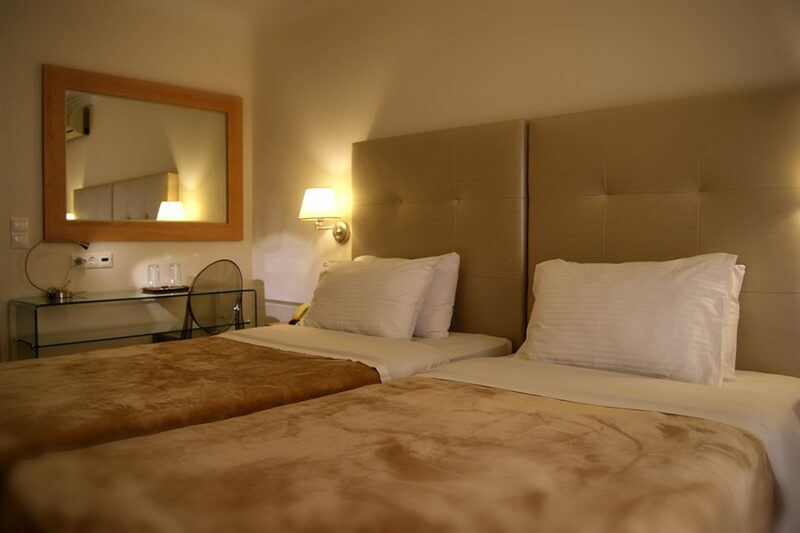 Renovated room with a double bed or two single beds, dressed in distinctive pastel colors. It has modern equipment, balcony overlooking the Bay of Navarino and meets all the requirements for a comfortable and pleasant stay. Includes flat-screen TV, refrigerator, free wi-fi, air – condition and complimentary toiletries. There is no capacity for extra bed. ll renovated room with double bed or two single beds, dressed in distinctive pastel colors. It has modern equipment, with or without balcony overlooking the Bay of Navarino and meets all the requirements for a comfortable and pleasant stay. Includes flat-screen TV, refrigerator, free wi-fi, air – condition and complimentary toiletries. In this room type there is no capacity for extra bed. This spacious room is created with natural materials and respecting the environment. The earthy colors and amenities offered ensures a pleasant and comfortable stay. Each room is fully equipped and includes: air conditioning, free Wi-Fi, a balcony overlooking the Bay of Navarino, flat screen TV, refrigerator, safe, spacious modern bathrooms and free toiletries. The decoration and modern equipment meets the needs of even the most demanding visitor. Consists of 2 interconnecting rooms. This spacious room is created with natural materials and respecting the environment. 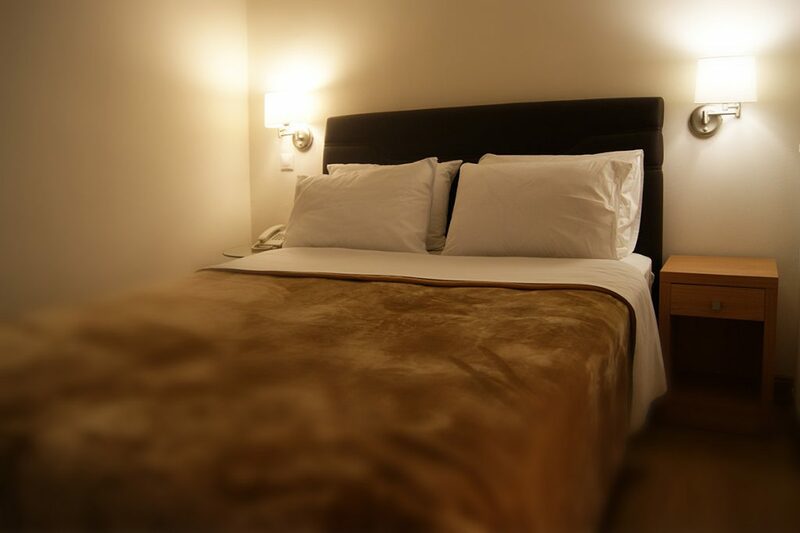 The earthy colors and amenities offered ensures a pleasant and comfortable stay. Each room is fully equipped and includes: air conditioning, free Wi-Fi, a balcony overlooking the Bay of Navarino, flat screen TV, refrigerator, safe, spacious modern bathrooms and free toiletries. The decoration and modern equipment meets the needs of even the most demanding visitor. Please note that this room type cannot accommodate an extra bed. Consists of 2 interconnecting rooms. These spacious rooms were created with natural materials and respecting the environment. The earthy colors and amenities offered ensure a pleasant and comfortable stay. 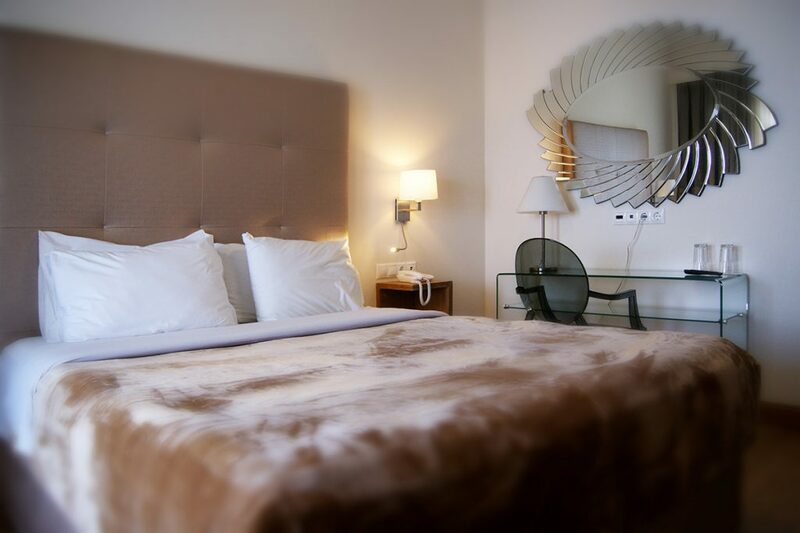 Each room is fully equipped and includes: air conditioning, free Wi-Fi, a balcony overlooking the Bay of Navarino, flat screen TV, mini fridge, spacious modern bathrooms and free toiletries. The decoration and modern equipment meets the needs of even the most demanding visitor. In this room type there is no capacity for extra bed. It consists of 2 interconnecting rooms. These spacious rooms were created with natural materials and respecting the environment. The earthy colors and amenities offered ensure a pleasant and comfortable stay. 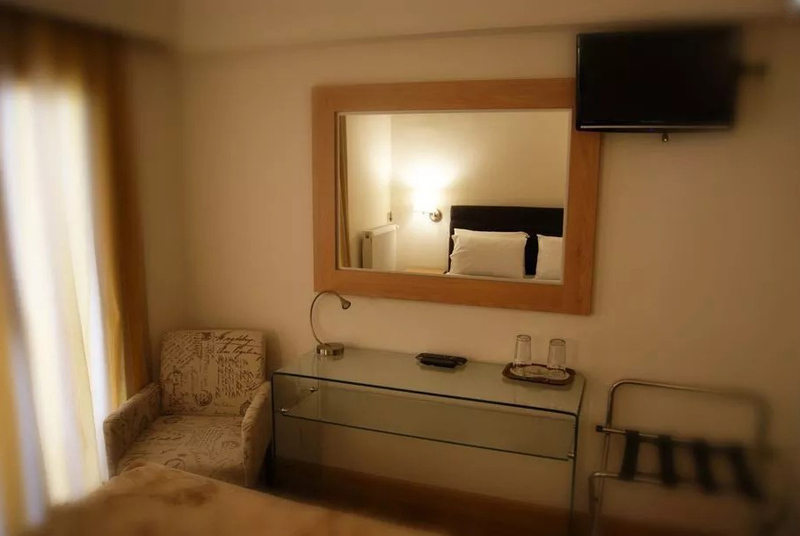 Each room is fully equipped and includes: air conditioning, free Wi-Fi, a balcony overlooking the Bay of Navarino, flat screen TV, mini fridge, bathrooms and free toiletries. The decoration and modern equipment meets the needs of even the most demanding guest. In this room type can not include extra bed. 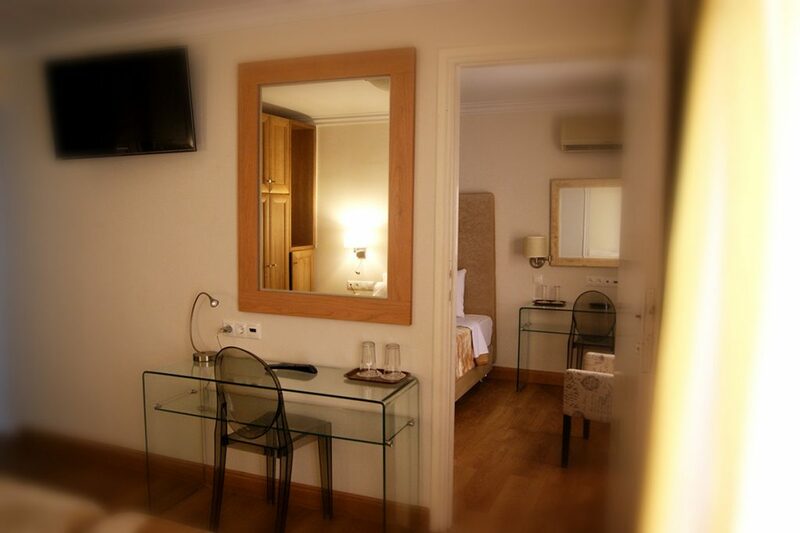 This double room features a flat-screen TV, refrigerator, free wi-fi, air – condition, free toiletries and soundproofing. Please note that this room type does not have sea view. In this room type can not include extra bed.